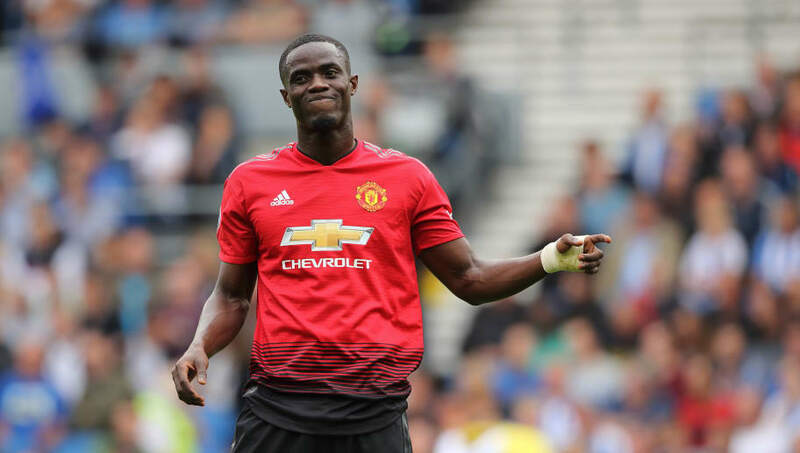 ​AC Milan are planning a January move for Manchester United's Eric Bailly, with the defender reportedly becoming increasingly frustrated with his lack of game time under Jose Mourinho. The Ivory Coast international has made just seven appearances for the Red Devils this term, three of which amount to a mere 21 minutes collectively. After completing 90 minutes in both of United's opening Premier League fixtures, the Ivorian was dropped from the first team following his calamitous performance in the 3-2 loss to Brighton. Save for those aforementioned cameo minutes, which included a 19 minute start against Newcastle, the 24-year-old has been either benched or absent from the matchday squad altogether in the games since. This has perked Milan's interest, with ​ESPN reporting that the Italian giants are currently inquiring about Bailly's value ahead of a potential swoop in the January transfer window. Though the centre back is understood to enjoy life in ​Manchester and representing the illustrious team, he is worried about his lack of prospects under the current regime, despite that regime forking out £30m to sign him from Valencia just two and a bit years ago. Bailly is yet to enter into negotiations regarding an extension to his contract, which is due to run out next summer as it stands. The defender has thus garnered some interest from several ​Premier League rivals, but the Rossoneri will be hoping they can offer the defender some first team minutes at a Champions League club, as long as they maintain their current trajectory. Meanwhile, Mourinho and United will be looking to bolster their defence if possible, with ​Toby Alderweireld and Inter's Milan Skriniar the primary targets. In this sense, the sale of Bailly may help to free up some funds for a defensive overhaul.